Physicians who see patients with the mitochondrial disease now have a practical new tool–a set of guidelines for managing and caring for those patients. Occurring in at least one in 4,500 individuals, mitochondrial disease is caused by defects in genes affecting the function of mitochondria, crucial energy-producing structures found in every cell. This complex disease can affect nearly every organ or system in the body. The MMS patient care standards for primary mitochondrial disease appeared online July 27, 2017 in Genetics in Medicine. The study leader and corresponding author is Sumit Parikh, MD, of the Cleveland Clinic Children’s Hospital. For the current study, the MMS appointed an international panel of 35 mitochondrial medicine specialists to review current knowledge and develop recommendations. Reflecting the systemic impact of energy deficiencies caused by impaired mitochondrial function, the group’s recommendations address a broad range of medical specialties, including cardiology, neurology, critical care medicine, nephrology, endocrinology, audiology, and ophthalmology. In addition, the guidelines address special issues encountered by patients during pregnancy and high-altitude travel, and also compile a list of medications, such as statins and acetaminophen, that must be used with caution or avoided in patients with mitochondrial disease. 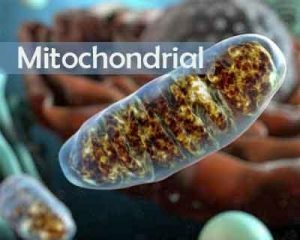 While the current guidelines are the first set of published recommendations for patient management and clinical care decisions, the authors recognize that as mitochondrial medicine continues to evolve, the guidelines will need to be updated. These guidelines represent an important step in the effort to standardize health care and optimize health outcomes for mitochondrial disease patients. They also establish a baseline from which meaningful clinical trials can be launched to evaluate new treatment interventions.